Warmbier death: Will people still travel to North Korea? Travelling to North Korea has always been a niche adventure for those seeking something off the beaten track. It's also been one of the few doors left for any exchange with the country. But the death of US student Otto Warmbier might make travellers think twice whether the novelty factor of travelling to the world's most secretive country is really worth it. The 22-year-old held in North Korea for stealing a propaganda sign has died a week after returning home in a coma. The picture emerging from online travel forums is one of quite divided opinions. It's a country that people either really want to see or that they condemn travelling to. Comments against travelling range from safety concerns to condemning the whole idea for "subsidising a brutal regime" and calling for a boycott of the tour groups. Those who still want to go remain intrigued by the "bizarre" nature of the destination and suggest that sticking closely to the rules should keep tourists safe. Travel companies that offer trips also often play along those lines in their advertising, describing it for instance as "a hermit and magical country", "one of the last untouched places in the world" or "a surreal and lifetime experience". Aware of the concerns over possible risks, most travel agencies explicitly address those worries and unanimously stress that North Korea is a safe place to visit. How did a North Korea holiday end in jail, and a coma? Following the death of Mr Warmbier though, most agencies that the BBC contacted were not willing to talk, referring to statements they put out to the media but unwilling to give information beyond that. They're faced with what potentially could be a great problem for their business. The US student had his trip booked with Young Pioneers, a Beijing-based agency founded by Briton Gareth Johnson in 2008. While mainly focussing on North Korea, the agency also offers different destinations, equally "off the beaten track" as for instance the Chernobyl exclusion zone, promoting it with the hash tag "#darktourism". Young Pioneers has since put out a statement expressing its "deepest sympathies" to Mr Warmbier's family, adding that "the way his detention was handled was appalling". In an interview with website nknews.org, the company said it still believed that the country was safe as long as precautions were taken. It also pointed out that Mr Warmbier's arrest was the only one in the past 10 years, and that the company had taken over 8,000 tourists to the country. Andre Wittig of Berlin-based Pyongyang Travel agrees that North Korea remains a country that's safe to visit. "There's not been a single time that we've had a situation that was even close to difficult," he told the BBC. While stressing that the death of Mr Warmbier is a terrible tragedy that must not be repeated, he does not feel it will discourage increasing numbers of tourists from going there. Megan Lacina, a 28-year-old from Los Angeles ran the Pyongyang marathon in April. She says she wouldn't make the same decision now. Before leaving I asked my friends: "Oh, if I get detained will you devote your life to freeing me?" It was a joke but then again, you do hear about all these stories. I was worried about how I would be treated as an American, but they do make very clear what you can and can't do. Everyone was extremely kind. People we met were timid and reserved but not unfriendly. I remember hearing about the staff-only floor at the hotel where Otto, who was then detained, took the sign. I can understand feeling very comfortable in the hotel, and forgetting just where you are in the world. During the marathon, the stadium was full of about 50,000 people. I heard someone say the people were told they had to be there. Before I went, I heard different opinions on whether I should go, but I didn't want to have a blanket, one-sided view of the country and people. My favourite moment was during the marathon. We could interact with people, and they were high-fiving me and cheering for me. I'm glad I got to go there and experience it, but if my trip was next week I couldn't imagine still going under the circumstances, and after what happened to Otto Warmbier. 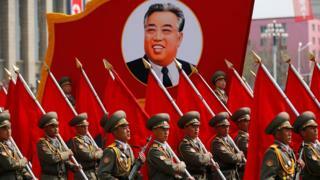 Young Pioneers said in its statement that it would no longer organise tours for US citizens to North Korea. Other travel agencies offering North Korea tours have put out similar statements, also announcing they'd be reviewing whether they can still accept US citizens for their tours. Generally, travelling to North Korea for US citizens is legal, but the US state department warns its citizens against visiting the country and considers stopping them from doing so altogether. "We have been evaluating whether we should put some type of travel visa restriction to North Korea," Secretary of State Rex Tillerson said on the matter. "We have not come to a final conclusion, but we are considering it." Fred Warmbier, the student's father, in the meantime has strongly criticised the tour operators for "luring" Americans into the closed country, accusing them of providing "fodder for the North Koreans, and my son happened to become fodder for the North Koreans". While tourism to North Korea remains a niche, it's brought a steady flow of revenue to the country over the past years. Numbers are very hard to get and not reliable, but it's thought that about 100,000 foreigners visited the country in the past year. The vast majority of those though are Chinese - the number of non-Chinese tourists is estimated to be between 8,000 and 10,000 per year. Aside from the more traditional tours that take you to the capital and around, there's been an increasing push to also offer more "normal" tourist activities that don't merely focus on the bizarre elements of the last Stalinist dictatorship on the globe. Things on offer range from surfing on its remote sandy beaches to skiing in a newly built resort in the mountains. Yet the arrest and death of Mr Warmbier comes at a time of heightened tensions between North Korea and the US - and is likely to add to those very tensions. Pyongyang's recent string of rocket tests coupled with the regime's work to develop nuclear warheads has led the US to make North Korea a top priority, with Washington trying to get China to put pressure on its ally. And it's not like the tourism sector is immune to the volatile situation. "Where we do in fact see a difference in bookings is whenever there are growing tensions between the US and North Korea - this is obviously something that has people worried," Mr Wittig explains. "Since the Trump administration in Washington has upped the rhetoric to include a possible military strike, people are naturally more hesitant and concerned about booking a trip to North Korea." The growing tensions on the Korean peninsula are stoking concerns that Pyongyang will arbitrarily arrest tourists to keep them as bargaining chips in the diplomatic game. In this scenario, US citizens would obviously be prime targets. Currently, there are three US citizens in detention in North Korea, a businessman and two lecturers who had been working a university in Pyongyang. Otto Warmbier: How did North Korea holiday end in jail, and a coma?